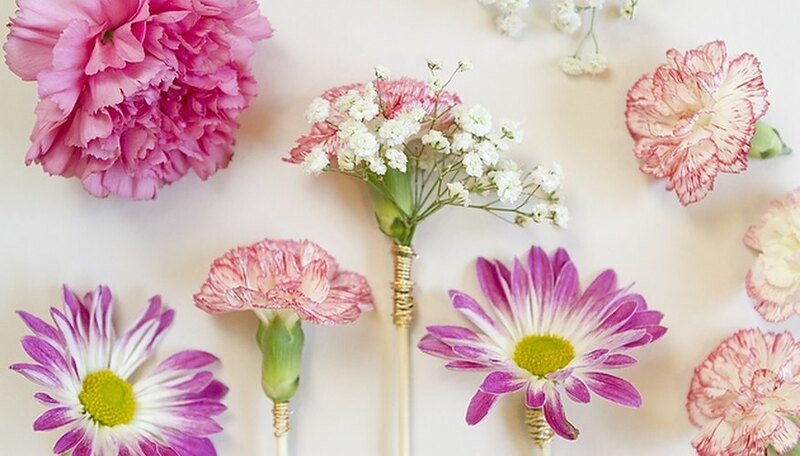 Spruce up your spring and summer cocktails and impress your party guests with drink stirrers adorned with fresh flowers. 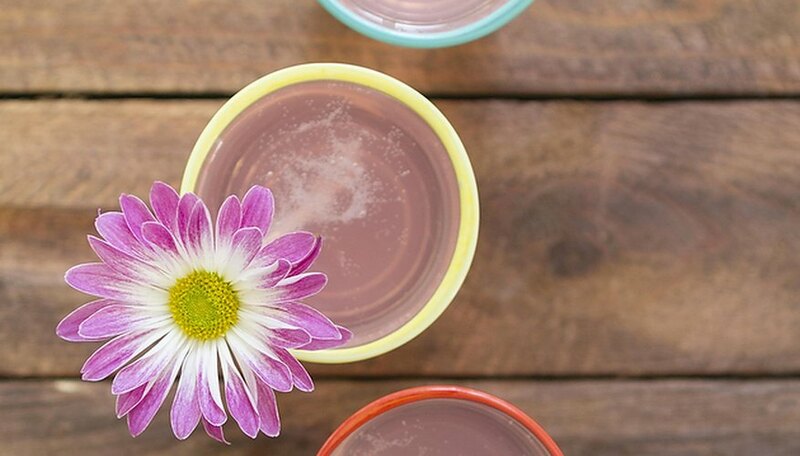 Created with just a few supplies, these floral stirrers dress up any drink and transform your cocktails into impressive, work-of-art beverages. 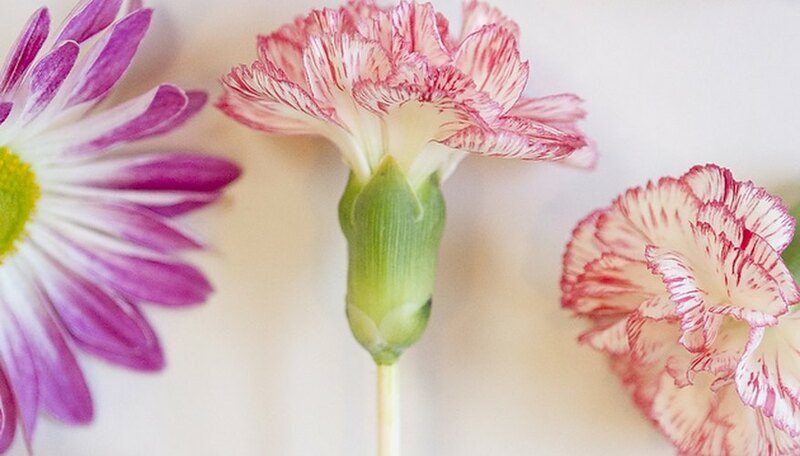 Attaching a flower with a thick stem, such as a carnation, is the easiest. Simply cut the flower stem almost completely off. Then, push the skewer through the bottom of the flower until it is secure. Make sure you don't push too hard or the skewer will go completely through your flower. Attaching flowers with thin stems, such as daisies, are a little trickier. Thin stems are very delicate and, if you are not careful, they will break easily. Cut your flower so that there is half an inch of stem left. 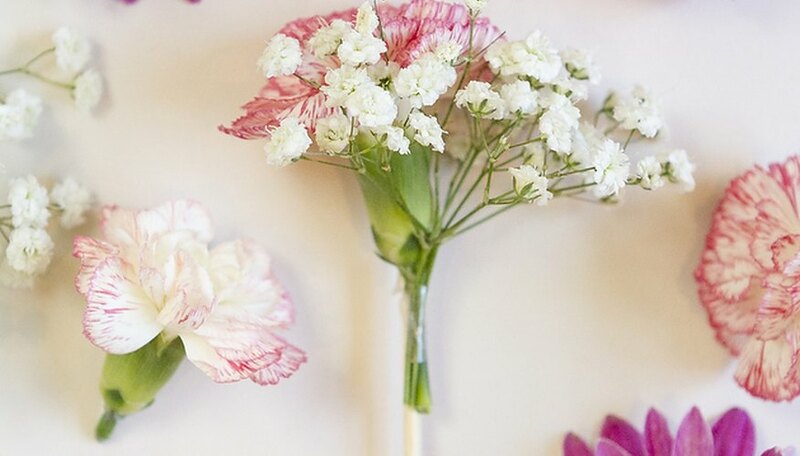 Using a glue gun, attach the flower stem to your skewer. Once the glue has dried, gently apply flower tape around the stem and your skewer for extra hold. 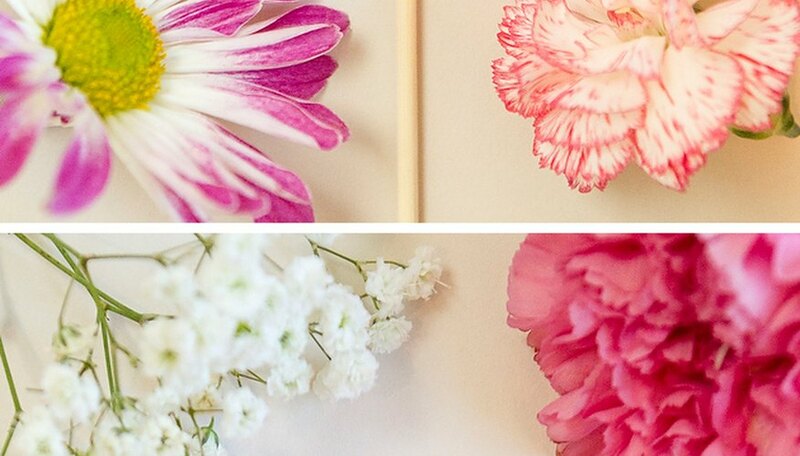 Create a stylish floral stirrer by attaching two different types of flowers. Baby's breath is a great complement to many larger flowers. It also does not "shed" it's small petals, which is key if you don't want flowers dropping into your guests cocktails! Cut the stems of your two flowers so they are half an inch long. While holding the two stems firmly in one hand, tape to the skewer. 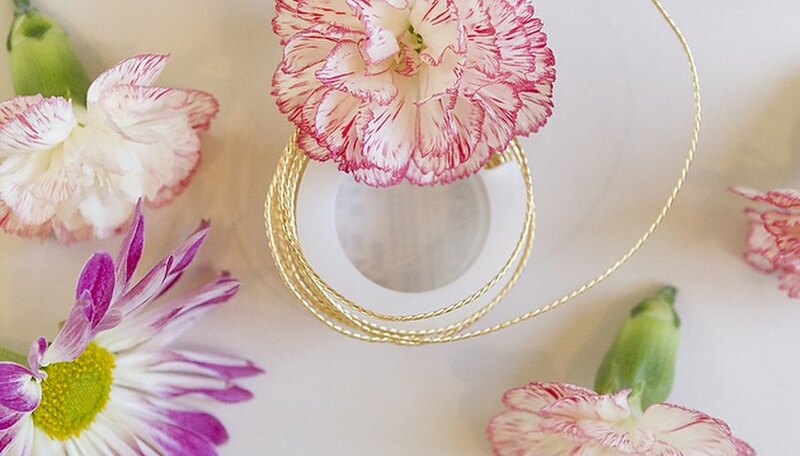 Wrap gold wire around the base of the stems to finish off your floral drink stirrers and hide any glue or tape. Your finished floral stirrers make a fun and stylish addition to any cocktail. 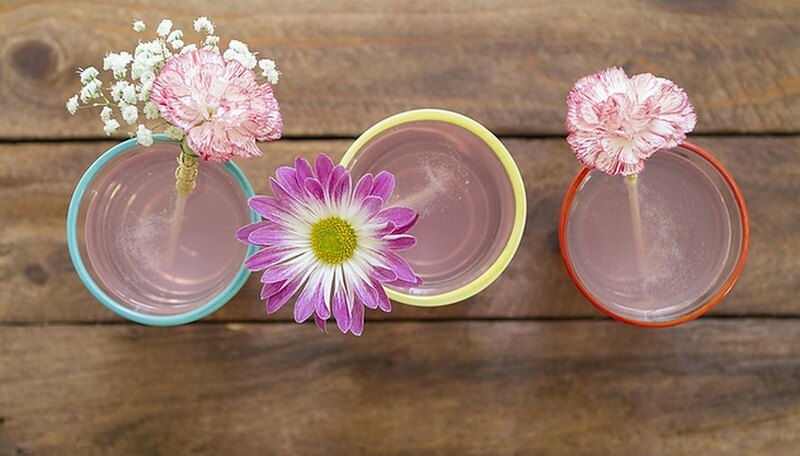 Use these three floral designs to represent three different cocktails or simply mix and match. Gillian Ellis is a wedding lifestyle blogger, photographer and stylist. Gillian's work has appeared in many National publications including "Style Me Pretty," "The Everygirl," "Best Friends for Frosting" and "Southern Weddings Magazine." Based in Charleston, SC, she shares DIY projects and wedding inspiration on her blog Coastal Bride.